Escalating rents, neighborhood development pressures, and changing consumer shopping habits are all taking their toll. Today I discovered that Paron's -- Paron's! -- will close on September 18th. Until then, everything in the store is 70% off. Paron's has been around since 1940. I remember passing by Paron's, decades before I sewed, when they were on 57th Street near Carnegie Hall. Later, they moved to 40th Street. Just a few years ago they moved again, one block south to 39th Street, to a much smaller space that somehow never seemed busy when I was there. It doesn't surprise me that they're closing; a little birdie told me they were paying $17,000 per month rent. That's a lot of fabric to sell. 70% or 75% -- either way, it's a bargain. I had heard Trumart is moving around the corner; we'll see. I learned about Paron's imminent demise just this morning on Clio's Instagram feed; she'd passed the sign on her way to work. I decided I'd check it out myself and who should I run into but lovely Clio herself! 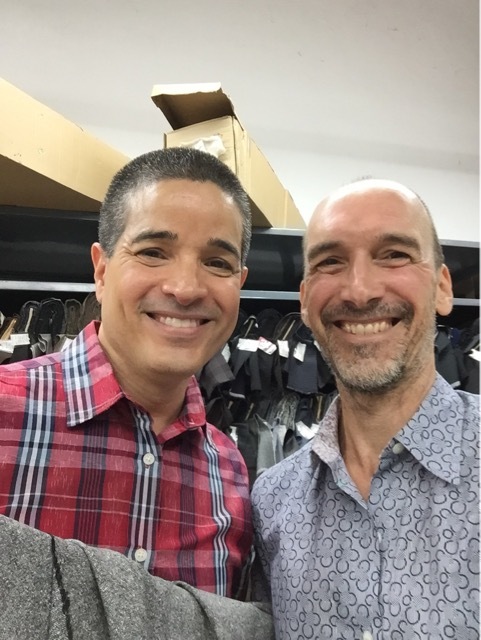 I also ran into Vogue Pattern designer, celebrity Carlos Correa. Naturally, I asked for a selfie and Carlos generously obliged. I bought four yards of this gorgeous Italian 100% wool salt and pepper tweed suiting. I paid just $8 a yard. I had a brief chat with Lucy, a Paron's employee who has worked there for years. She told me they'd have liked to stay on a little longer to extend the sale but the landlord made that financially impossible (basically tripling the rent). It's sad for me when Garment Center fabric stores close, especially ones as well-curated as Paron's. The service was excellent, the fiber content and country of origin was listed on every bolt, and I almost always found something when I shopped there. 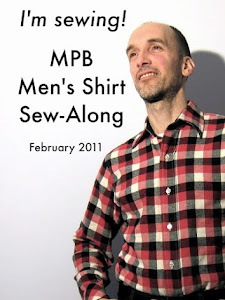 Paron's was a highlight of MPB Day, too, from the very beginning. What's left to say? Paron's, you'll be missed! In closing, did you ever shop at Paron's? If so, I hope you'll have a chance to visit them again between now and September 18th, if only to bid them farewell. 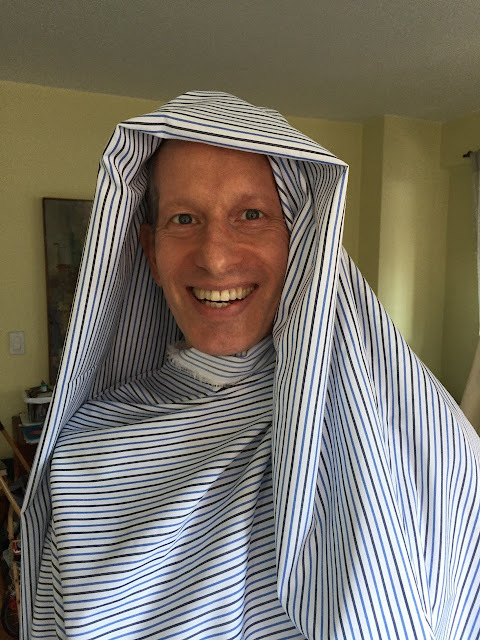 Michael models creamy Italian cotton shirting I picked up at Paron's earlier this year. AUUUUGGHHH. I love Paron's! It was my first stop on MPB Day. 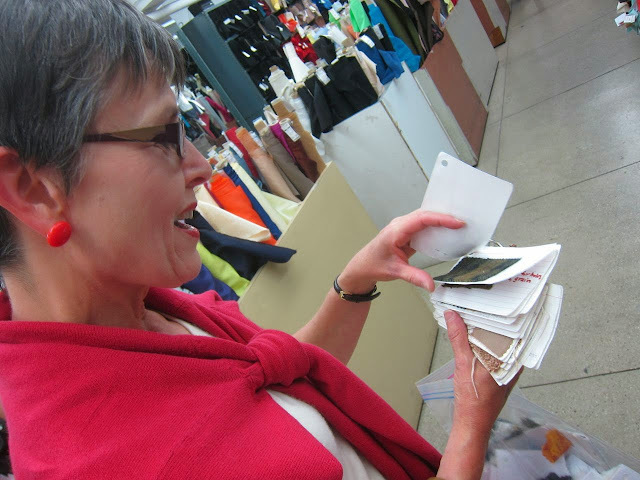 I got so many great fabrics there over the years, and the staff was always so nice and helpful with recommendations. I can't believe it's closing! So sad. I stopped by almost every time I prowled the garment district. Found them through a Groupon deal a few years ago. Sadly, I think once an established store goes "Groupon" there's no turning back. People don't want to pay full price anymore. Groupon might be a call for help from already struggling businesses. MJ Trim went Groupon, too... And is also downsizing. Wow so said I'm in Maryland but I will give them a call. I am so sorry to hear that. I've been a long time customer. Long before the Internet I'd call and speak to Lucy and she'd send me samples. Sad. Beautiful, quality fabrics. I have to admit, they were too pricey for this not-so-skilled sewer. For those with the confidence to work with these fabrics, I’ll bet you ended up with a high-end garment. So sad to see them go. I've never been there and since I'm retired, basically I have no need for those kinds of upscale fabrics. But I hate to see our circle of choices diminish. Paron stocked many quality, everyday fabrics that could be used in clothing to be worn for years, such as wool and linen. This is terrible news. 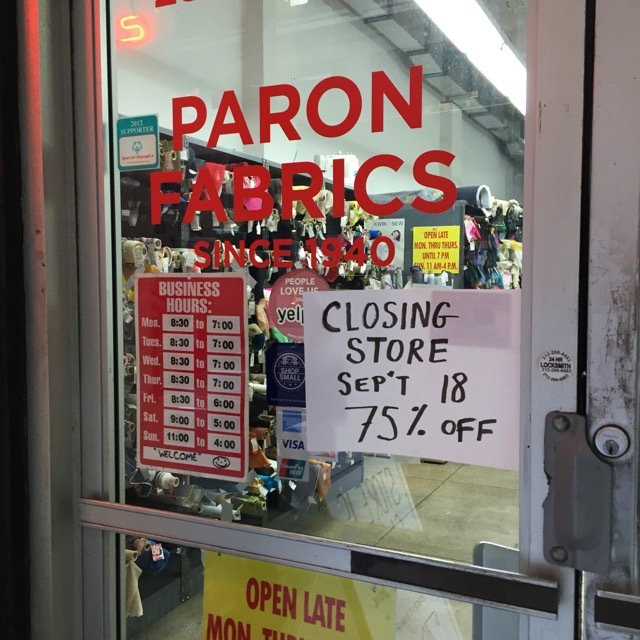 I am saddened to hear of yet another fabric store closing. 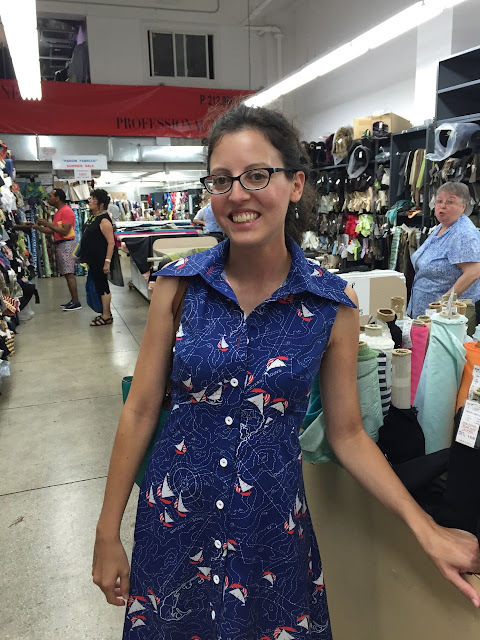 I have shopped there over the years and have always purchased good quality fabric. They will be missed. I've been shopping there since they were on 57th Street with the discount store upstairs. It's been hard for me to shop in their new store knowing their history and having shared a little of it. This is so sad to me. Once Bloomberg took the special designation from the Garment District I knew that we were going to lose more fabric stores. And store after store has gone away...40th Street looks nothing like it did a decade or so ago. We are watching the end of an era! I did not know the landmark status was rescinded. The statue will remain, but no one will know why it's there. Lamentable, but not unpredictable. It is no longer the GARMENT district. With production driven overseas, who is here to buy quantities of fabric? The indie designer and home sewer market must be a drop in the bucket compared to masses. Hopefully internet shopping will keep alive some of the larger, slicker stores for those of us who have no local resources. Better FabricMart and Mood online than only JoAnn's. Wow. I was just there last week buying yet another lovely bunch of fabrics. When I made my first forays into the garment district, this was (and remained) one of my go-to spots - and they had weekend hours! I will definitely pop in soon to bid them a fond farewell. I was similarly sad to see P&S close this summer. It was such a treat to have a fabric/notions shop in my neighborhood. Clio AND Carlos...a charmed life, I tell ya! As to the closings, charm is a fading commodity. Do sad NYC landlords have become so greedy. At this rate there'll be no fabric stores left in NYC & no great reason to visit NYC. I still have a few pieces from Parons in my Stash, bought back when they were up at 5th I think. No, I've never been to NYC, let alone had the the chance to go fabric shopping there. Even so, this news makes me sad. Oh how sad. I too recall going to Paron's in all its iterations over the years. It was always so much fun to hunt for that special treasure. Makes me hug my own fabric resource center a little bit more but mourn for the people who have lost another NYC resource. In (I think) 1974 I bought some peach-colored linen from Paron's on 57th. It was the first linen I had ever seen that was wider than 45". I made a killer dress from a Vogue pattern and wore it to many parties. ow I wish I still had it. A sad farewell to the golden age of fabric retail. I can't believe it. I was in there only last week. Someone online suggested that they were going out of business, but they've always had great sales a couple of times a year and I dismissed it. It was such a great alternative to Mood: easy to get in and out, very good prices, and sometimes they'd cut a little extra if you were in a class. This is very sad news - such a wonderful store & staff! Argh! Wow this is really sad...thanks for letting us know Peter. I've been going there 8 years I think. 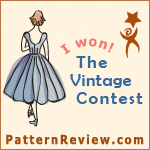 They always stocked high quality fabrics, so I liked to buy knits there, which wouldn't pill! The employees were long-term and I could always buy a Burda style mag there if I felt like it. This is tragic. Even though I no longer live in NY, Paron's was always on the list for every visit. One by one, all of my old haunts are shuttering. May I suggest relocation to a new and growing market? 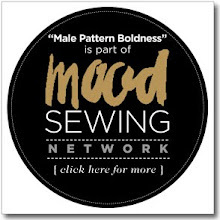 Detroit designers and independent lovers of fine fabrics would love to have you here! What a wonderful idea. I'm in Toledo and all we have now is JoAnn's and I'm not thrilled with them. I am so, so sorry to read this news. Paron's was on my list for years of not-to-miss places on New York visits. Jack and I were just there on a day trip into Manhattan in June to browse shirtings for him, and he chose a dandy one, which I sewed up on our return home. So glad we did this. 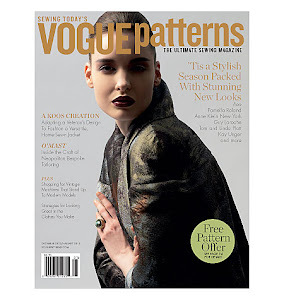 And the jacket on my home page is made from fabric I bought at Paron's--another happy memory. I must make something special from that remaining yardage. Thank you, Paron's! Sorry to hear about Paron Fabrics. 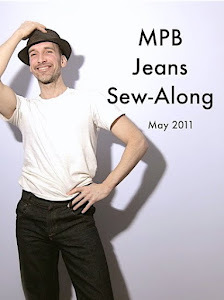 I remember when I purchased the two fabrics I did two years ago during your MPB Day. In fact I am wearing a shirt that I had made from one of the fabrics. I was amazed at what fabrics Paron had then. 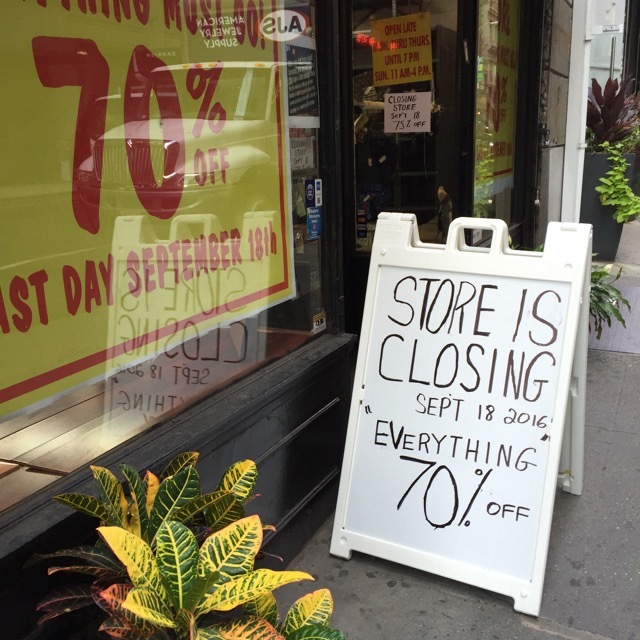 Hope that the other stores in New York keep going. I scored some excellent bargains today. But still sad Paron's is almost over. The fabric stores on 39th street seem to be shrinking around fabrics for costumes for theater, etc, and bridal gowns. Afraid it won't be long until I have to shop by Internet like most of the rest of the country. I like to touch and see fabric before I buy, though I've bought some truly fine stuff at excellent prices from Michael's in Baltimore. Orchard Street is gone, and it looks like 39th Street give or take a street or two looks to be going the way of Singer Sewing Center. Yet, I buy virtually ALL my boat canvas needs online, having never once bought in a store. Surely rents are lower in outlying areas. Is it possible for them to move to Queens or (*gasp! *) New Jersey? It really was bitter sweet to add a few gems to my stash. I'll miss Paron! Horrible news! Definitely will have to try to get back asap. Ouch! They were always one of my "go to" stores. I always appreciated that the fiber content was on the price tag. It made shopping so much easier. I loved how clear Paron's fabric tags were - they will be missed. It's been almost a decade since I lived in New York, but I loved darting to PS during my lunch break. Stores like this really kickstarted my sewing passion. 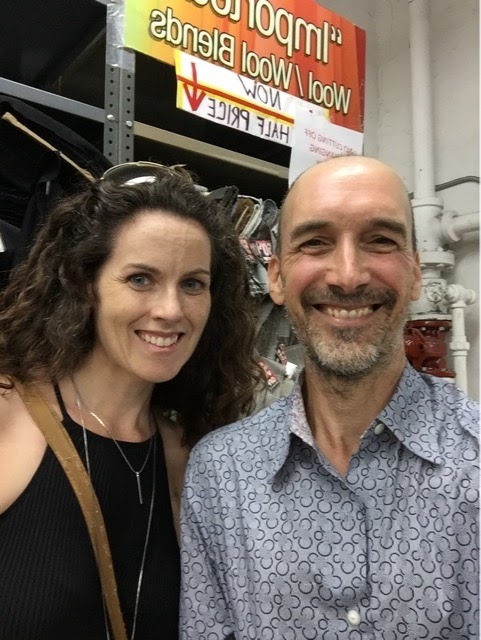 I visited NYC in April and had the pleasure of spending a day walking in and out of the fabric stores. It was awesome. It is sad to see these stores disappear. I too loved how the fabric content and price was on every bolt, that they had mirrors so I could "try the fabric on", and that their selection was well-organized, and their staff was consistent. Always the same man and woman running the shop. Sooooo sad that they won't be in business any longer, especially with The City Quilter closing. I think I hear my fabric closet weeping. Peter, this is HORRIBLE NEWS! I'm in the DMV & past 3 years, I've been to Paron's. 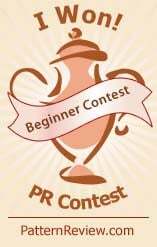 LOVE their customer service, professionalism, and they were very helpful to beginners like me. Too bad I won't be able to make it there before 9/18. Are they doing any online orders? I'm in the DMV area as well, in Hyattsville! I love Parons, on my first visit from London it was the least scary fabric shop and has been my favourite ever since. I have bought wonderful fabric there and have spent hours in the remnant room. I will miss them on my next visit, they also have such helpful staff. I've never been to Parons. I live in Trinidad and Tobago. But I understand the feeling. We had the same thing happening here about ten to 15 years ago. The staple fabric shops began closing down and it hurt me to the core. Then in came ready to wear made in Bangladesh, China etc. I don't want that, I want quality fabric. Does Parons have an online store? Oh, this makes me sad!! 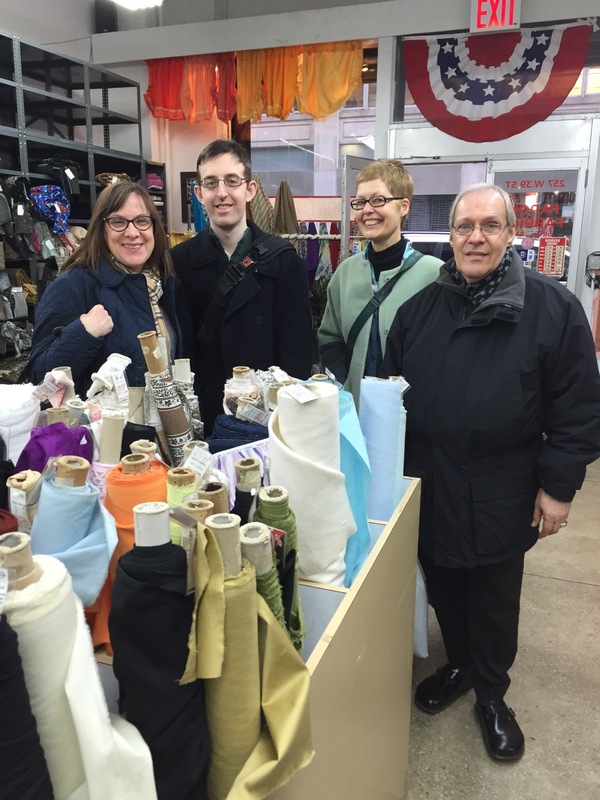 I haven't lived in NYC in a decade, but have been back several times for fabric shopping, PF has been one of my regular stops. My next trip is just a week after they close. Paron is actually closing even earlier than originally planned: as of yesterday, they were saying the last day would be Friday, 9/16 instead of Sunday, 9/18. It's really heartbreaking. Like many of the regulars, I've been shopping at Paron since they were on West 57th Street, in another small fabric district that has now entirely disappeared - just like the one on Broadway below Canal, where PS was the last holdout until they finally closed this past June. When even the Garment District can't accommodate independent fabric shops, due to gouging landlords, I despair for the city's future as a place for creative people. I just heard this today and am heartbroken!!! I will miss my favorite, Lucy! Born, raised, educated (HS of Fashion Industries/FIT), spent my entire career in Manhattan. Knew just about every fabric store within the Garment district, plus P&S downtown (worked not far from there). 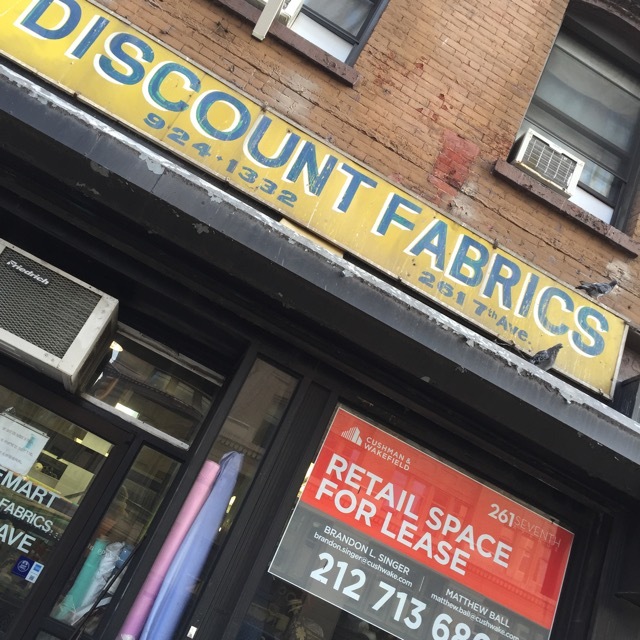 No longer live in Manhattan, but heard about the many fabric stores that have closed. When Bloomberg took away the landmark status of the Garment district, considered one of the heartbeats of NYC, I said: "What?!" Sadly it's not the Manhattan I remember. I am devastated! I just picked up some fabric there in July and did not see any sign that they were in imminent danger of closing. Paron was my go to fabric store. 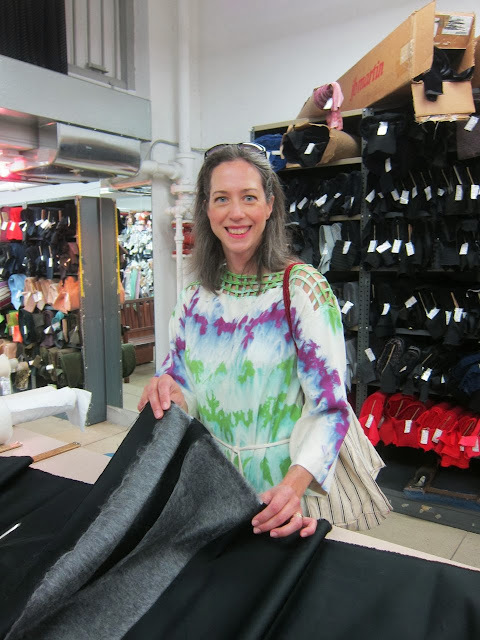 It was the most accessible fabric store for a novice. The prices were reasonable, everything was well organized and clearly labeled, and the staff was helpful. I was going to go down there today to pick up some fabric until I saw this news. I am heartbroken. With PS Fabrics, my other go-to, closed as well, I don't know where to go. I find Mood cold and intimidating, and I don't feel comfortable haggling in the smaller shops since my knowledge of fabrics is still nascent. Any suggestions? Elegant Fabrics, maybe? I've only been to Elegant once so I don't really know it. 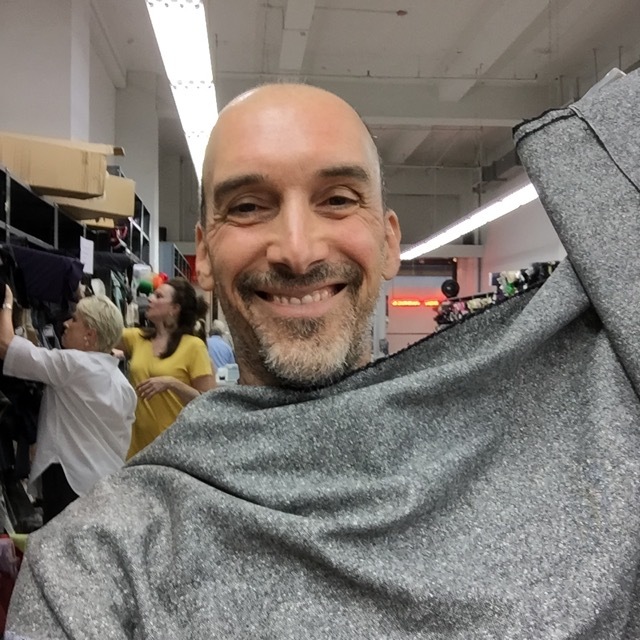 Other options include Elliott Berman on 35th (Google the exact address) and Fabrics & Fabrics. Also B&J (pricey perhaps) and Fabric For Less. And Metro Textiles (Neither Elliot Berman nor Metro is open on the weekend.) It really depends on what type of fabric you're looking for. I'm so sad to hear this. 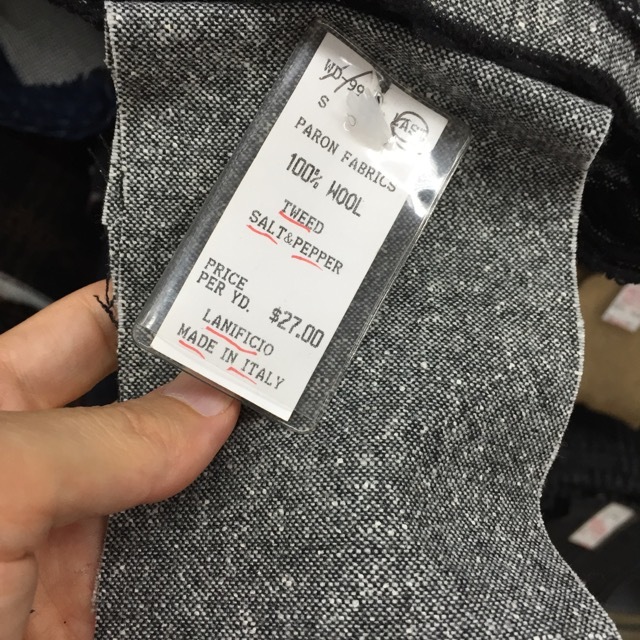 I visited NYC 2 years ago to buy wool for skirts and got a beautiful tweed at Paron's I'm wearing now. We went to four stores, and I liked this one the best -- the fabrics were interesting and good quality, and the people were so nice. P.S. How are the owners and staff?